PABLO is opening its newest branch at Greenbelt 5! 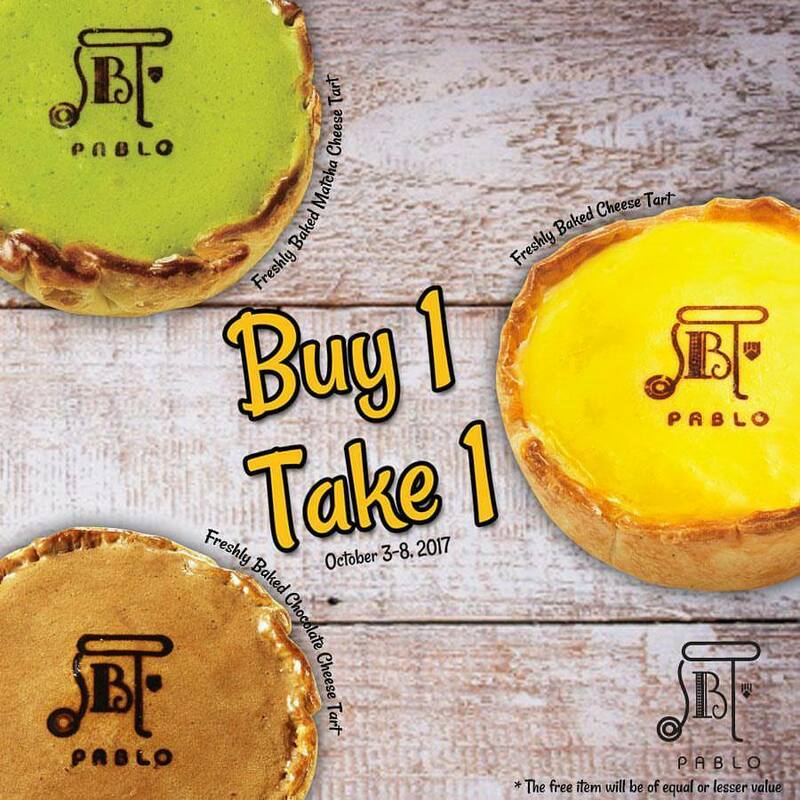 Be sure to drop by from October 3-8, 2017, because they have a Buy1 Get1 Pablo Cheese Tart Promo! Buy 1 PABLO Freshly Baked Cheese Tart and get another of any flavor for FREE (free item should be of equal or lower value). Hurry! This promotion is available only at #PABLOPH Greenbelt 5, Makati.